A book and CD/audio download package offering a practical eight week mindfulness programme to relieve pain, manage illness and boost wellbeing in just 10-20 minutes per day. 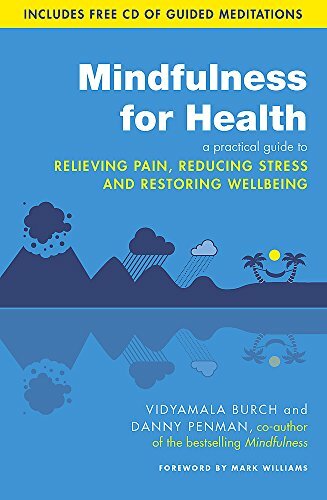 Based on the unique programme developed by Vidyamala Burch to help her cope with the severe pain of a spinal injury, this guide reveals a series of simple practices that you can incorporate into your daily life. This book won first prize in the 2014 BMA book awards in the ‘popular medicine’ category. Using helpful diagrams and a large font, this book is accessible for all reading levels.